US markets – soybeans lower on lack of fresh news on the US/China front. Corn lower on higher Argentine crop estimates, as early harvested crops continue to report extremely good yields. Wheat closed very marginally lower and well off the highs, despite Egypt’s purchase. US wheat exports running 6% behind y/y with USDA forecasting a 7% increase on the year. Corn 23% ahead y/y, with USDA down 3% on the year, and soybeans 30% behind y/y, with USDA 12% down on the year. US Mid-west weather forecast is fairly quiet with good rains returning Thursday & Friday and into the weekend, before turning quiet early next week, with another system pushing rains into the north by the middle of the week. Temperatures seen running below average. US Plains weather forecast is fairly quiet, with rains and some snow accumulation in northern plains by Friday, before turning quiet early next week before another system brings rain/snow to the northern plains. Temperatures running average/above average before cooling. US Delta and southeast will see several days of dry weather, with the next round of precipitation over the weekend before another several-days stretch of mostly dry weather returns to many areas. Brazilian weather forecast had large parts of central and southern Brazil drying down during the next two weeks, while rain is concentrated in northern Brazil. Argentine weather forecast through the next two weeks has much of the country continuing to dry down. China plans record US pork imports to resolve trade war, stating purchase may be as much as 300,000t in 2019. Egypt’s GASC purchased 120,000t of US wheat for April 25 – May 5 shipment, as US supplies were the cheapest offered by roughly $1.50/t. This was the second time this year that Egypt has taken just US wheat in a tender. Brazilian farmers had finished harvesting on 67% of the land planted, with soybeans for the 2018-19 growing season a/o Mar 21st, according to AgRural, slightly ahead of the 5-yr average. Russian wheat export prices rose last week, supported by an increase in global prices and a strengthening of the rouble. 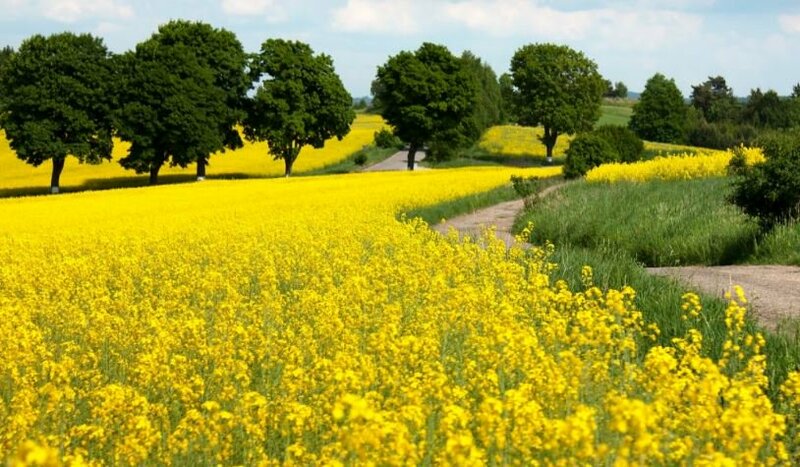 Ukrainian farmers have so far sown 962,000ha of spring crops for the 2019 harvest, or 42% of the 2.284mln ha expected to be sown by the Ag Ministry.